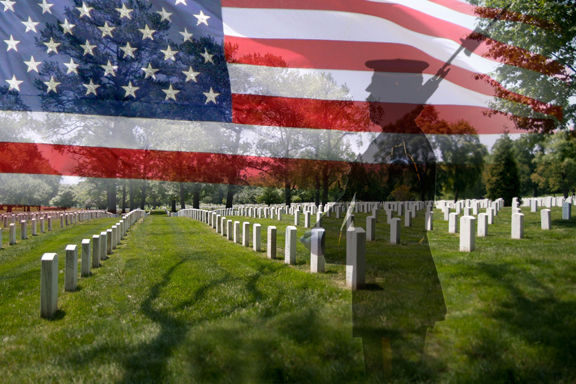 The news broke suddenly yesterday afternoon. 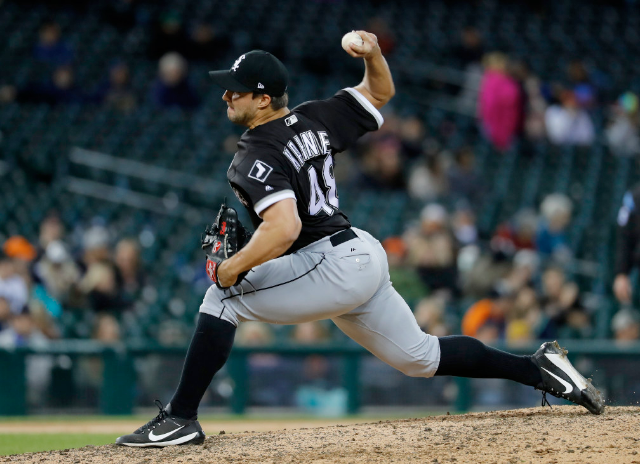 After a fairly quiet November (up to that point, the only significant MLB trade had been Seattle’s catcher Mike Zunino to the Tampa Bay Rays as the start of Mariners GM Jerry Dipoto’s “re-imagining” of his roster), reports came hard and fast like a James Paxton four-seam fastball that the Yankees had acquired the talented lefty from Seattle. My initial reaction was ‘it’s a start, but we need more’. 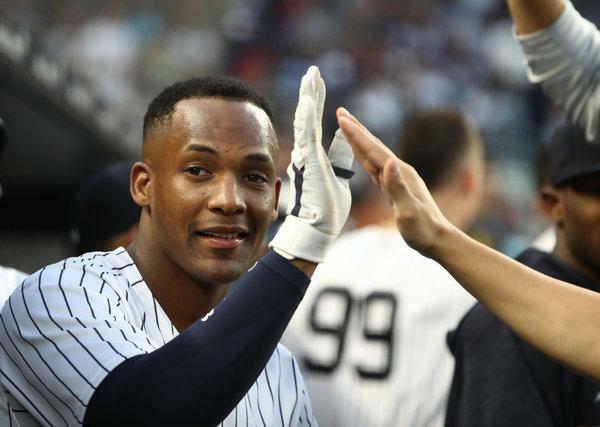 I didn’t expect the Yankees to lose Miguel Andujar in a trade for the much talked about trade speculation involving the 6’4” Big Maple and fortunately he was not involved. For a frontline ace like Corey Kluber, you’d part with the young third baseman but not for Paxton. When it was announced the Yankees had sent top prospect Justus Sheffield, breakout minor league starter Erik Swanson, and rising minor league outfielder Dom Thompson-Williams to Seattle for Paxton, Yankee fans were immediately trying to find flaws in the prospects sent to the Northwest. I am not going to join the crowd and trash Sheffield. The fact remains he is only 22 and still has an excellent chance to be a difference-maker. For a team that is prepared to win in 2019, this is a trade that makes sense. Paxton makes the Yankees better when they step back on the grounds of Yankee Stadium next year. Sheffield is probably a few seasons away from reaching his potential. This is totally a ‘win now’ move. The Yankees also needed to make room on the 40-man roster for Swanson or he would have been eligible for next month’s Rule 5 Draft so this saves a spot for someone else. So where do we go from here? I really hope the Yankees continue their pursuit of free agent lefty Patrick Corbin. He was and continues to be my top choice. I’d love to have Corey Kluber but I don’t really expect the Cleveland Indians to trade their ace without asking for a King’s ransom. Admittedly, I will be disappointed if the Yankees sign J.A. Happ to fill the last spot in the rotation. Happ was great during his short time as a Yankee last year, but as a long-term piece, let’s say I would be a little underwhelmed. I would have been fine with Happ to go with Corbin, but not paired with Paxton who carries injury risk. 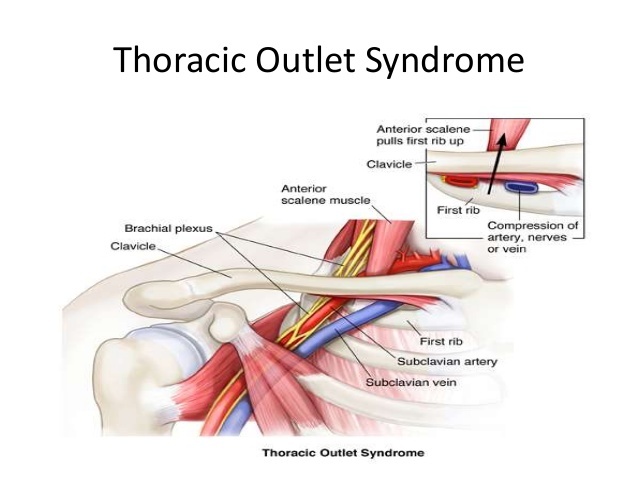 I know, all pitchers carry injury risk. It’s the nature of the beast, but Paxton has consistently missed time over the last few years. 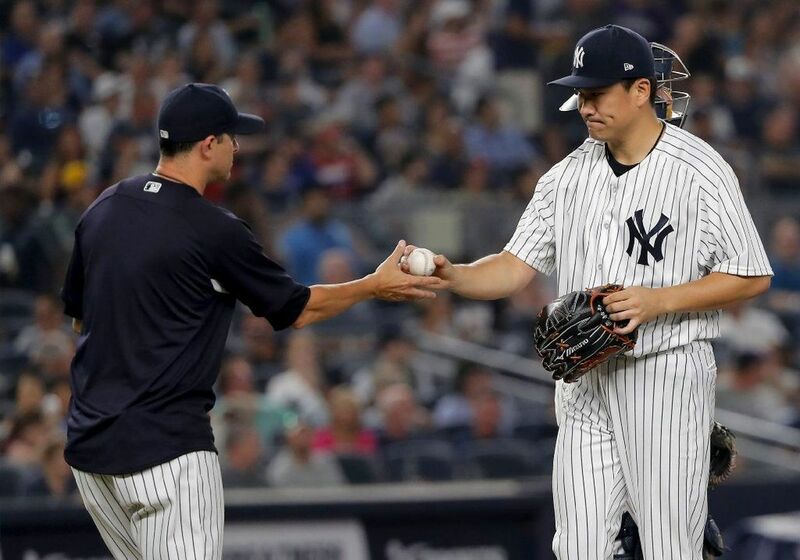 If the Yankees are successful in signing Corbin, the newcomers, along with Masahiro Tanaka, will certainly ease some pressure off Luis Severino to be “the man”. I suppose it’s not out of the question for the Yankees to sign both Corbin and Happ. Last year proved, once again, you can never have too many starters. Personally, I preferred signing Happ over long-time Yank CC Sabathia for the back end of the rotation. 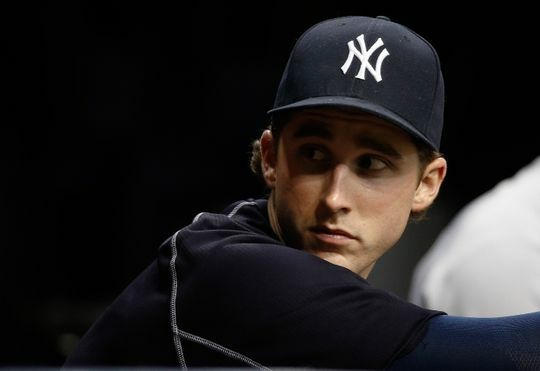 But regardless, you know that one or more starters in the rotation will miss time for various ailments and the Yankees need to be prepared. I really hope we’re not facing more rollouts of Luis Cessa to fill those spots. 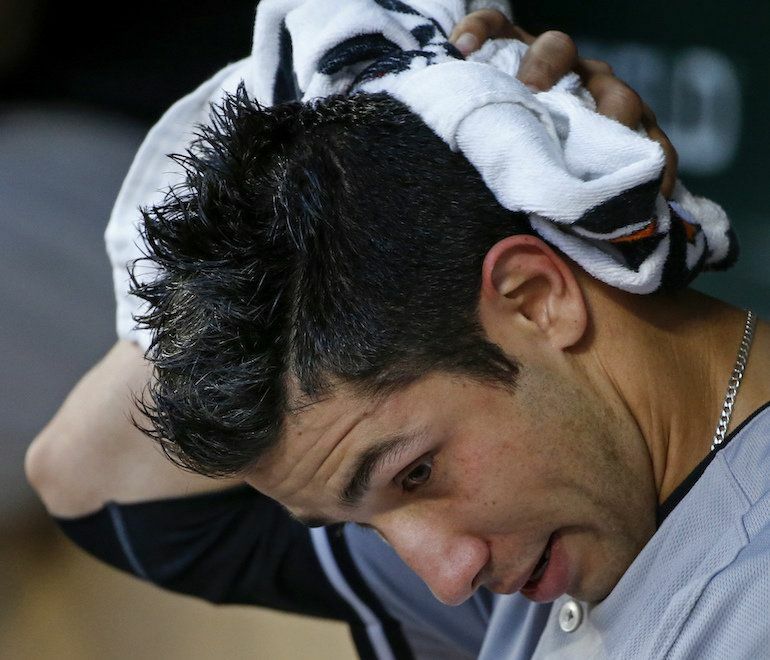 Domingo German, Jonathan Loaisiga and Chance Adams will have every opportunity to help, I am sure, but I hope we’re not leaning on those guys in multiple spots like we were at times last season. Seattle fans seem to be taking the trade in stride. I think they realized that their team was mired in mediocrity in a division with some very strong teams. They have a few players with bloated contracts like Robinson Cano, Felix Hernandez, and Kyle Seager. I have always loved Cano but the back half of his huge contract is not going to be pretty for the 36-year old. I am glad the Yankees were able to acquire Paxton without having to take on any of unmovable contracts. The M’s can use the young pieces received in the Zunino and Paxton trades to position themselves for 2021 or so. I read one Seattle columnist who said Mariners GM Jerry Dipoto basically had the choice of getting punched in the mouth or hit by a truck. He chose the former. I fully expect Domingo German to give up #65 for Paxton. It’s not exactly like German is married to the number. I believe Jonathan Holder was wearing the number at the start of last season until he opted for a lower number in the 50’s. The number still reminds me of Phil Hughes but no doubt, in time, Paxton can make it his own. There may be minor moves made today as teams finalize their 40-man rosters for Rule 5 eligibility next month. I doubt we’ll see anything as major as the Paxton trade, but there’s always a chance for the inevitable Sonny Gray trade now that his spot in the rotation has been filled. 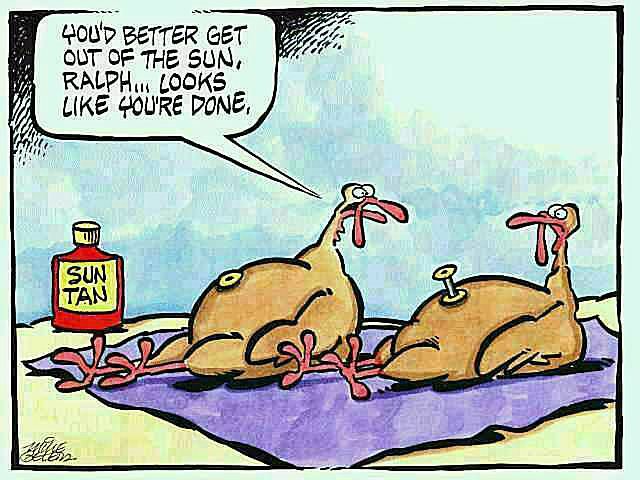 Otherwise, I expect the remainder of the week to be fairly quiet with no significant moves until we get past the Thanksgiving Holiday weekend. Paxton is the first step toward the enhancement of the 2019 Yankees (if you don’t count the re-signings of Brett Gardner and CC Sabathia). 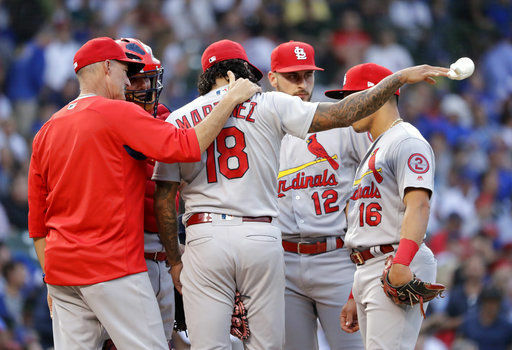 Multiple moves remain necessary before this team is ready to take down the Boston Red Sox. 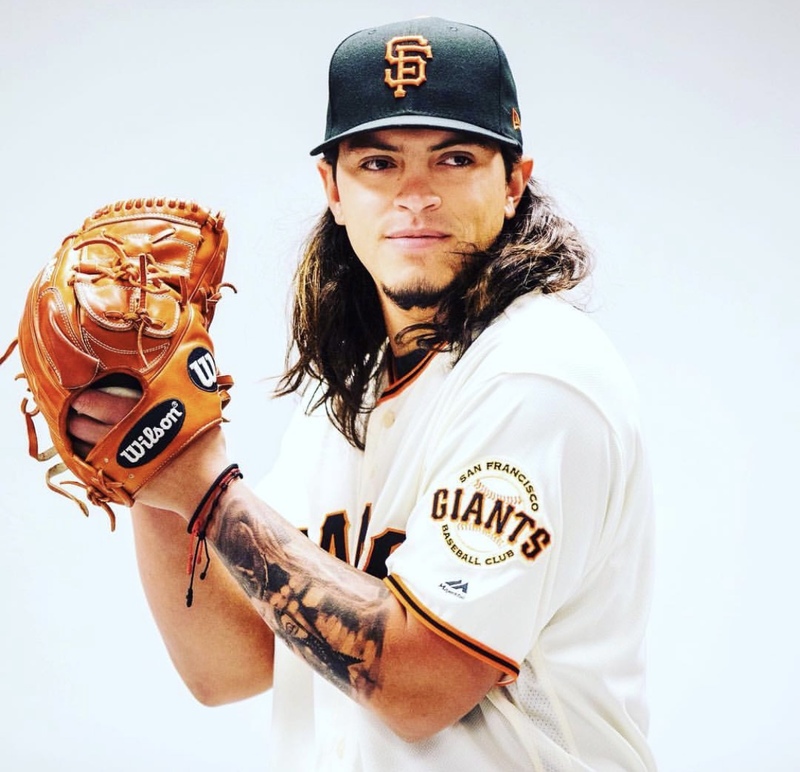 Another starter, at least two more for the bullpen, and an interim solution at shortstop. Yet, my excitement for February is building. It only gets better from here. 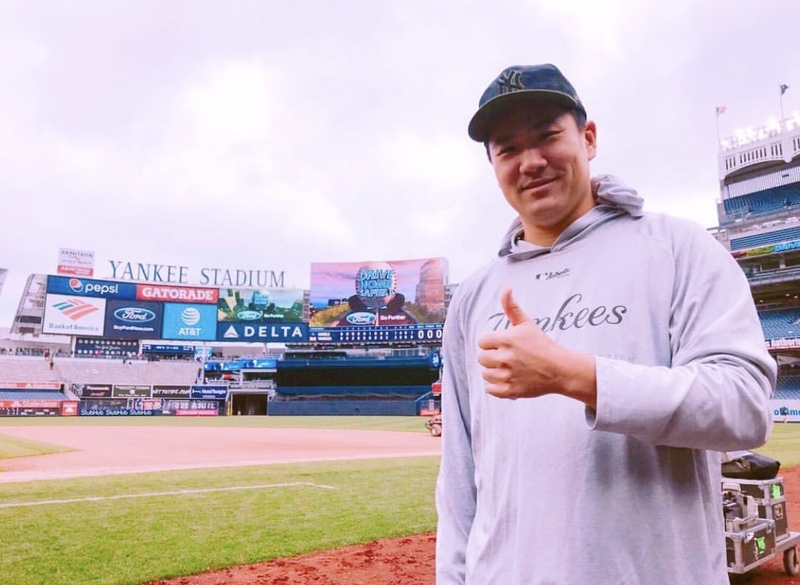 Just when you think you might be able to trust Masahiro Tanaka, you can’t. Since his return from the disabled list in early July, Tanaka had given up no more than three runs in any start and had only allowed a grand total of six runs in five starts. Yet, on Friday night, he was hammered for six runs including three home runs in the Yankees’ 12-7 loss to the Texas Rangers. When you score seven runs against losing teams, you should win games, not lose them. 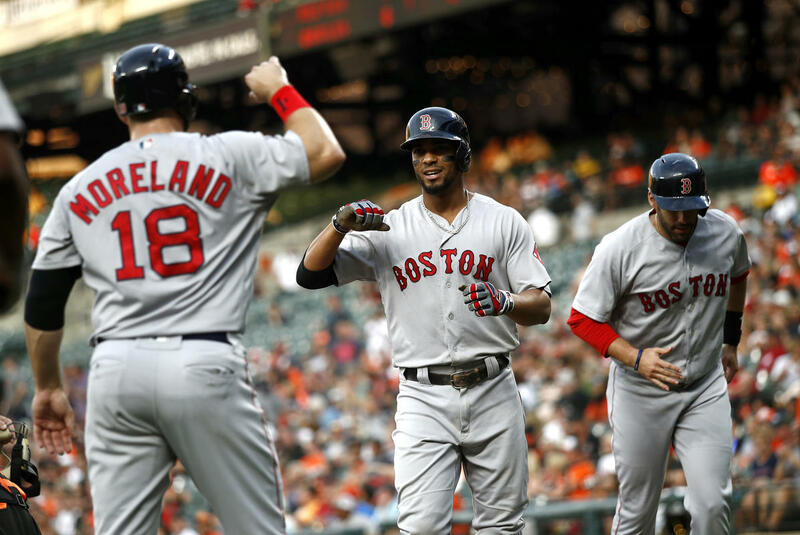 Meanwhile, the Boston Red Sox overcame an 8-3 deficit to crush the Baltimore Orioles, 19-12. Boston, 82-35, is on pace to match the Yankees’ historic 1998 season when they won 114 games in the regular season. At their current winning percentage, the Red Sox project to 113 wins. This is not 1978 and the Red Sox are not going to collapse. With Boston’s nine game lead in the AL East, the Yankees are headed for the one-and-out Wild Card playoff game. At the moment, their only competition for the Wild Card is the resurgent Oakland A’s and the Seattle Mariners. The A’s are only 4 1/2 games behind the Yankees, while the Mariners sit 6 games back. Oakland has been very aggressive in rebuilding their bullpen in recent weeks. Their closer, former Washington National Blake Treinen, has had a breakout season. He currently has 29 saves to go with a 0.93 ERA in 48 games. Behind Treinen, the A’s have added former New York Mets closer Jeurys Familia, former Yankees/Nationals reliever Shaun Kelley, and former Minnesota Twins closer Fernando Rodney. For the starting rotation, they’ve added former Detroit Tigers starter Mike Fiers, a target Yankee fans love to hate. None of the names shake fear but it shows the A’s are serious about their Wild Card run. There’s no question they have the talent to beat the Yankees in a one-game do-or-die playoff game. I wish I could say that I am not worried like The Greedy Pinstripes’ Daniel Burch can, but I am worried. Sorry Daniel. We knew in the off-season the Yankees needed to add a quality starting pitcher and it didn’t happen. So, the team had to scramble in July to add Lance Lynn and J.A. Happ. Both guys have done fine jobs but neither is going to make a difference when the chips are on the line. When Aaron Judge was lost with the minor bone fracture, it was evident the Yankees needed to add a short-term bat for the outfield. But instead, the decision was made to roll with one of the few healthy outfielders in the system, journeyman Shane Robinson. The Yankees could have easily added a guy like former Yankee Curtis Granderson who would have filled a valuable void. His bat likes Yankee Stadium and has the track record to show it. 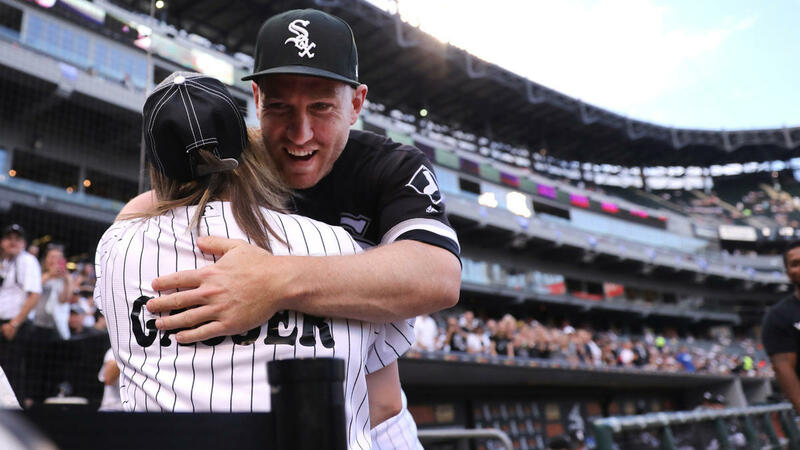 He may not be the player he was during his Yankee days thanks to the terminal affliction known as aging but he is more than capable of giving the Yankees a supportive bat and a valuable bench player when Judge returns. 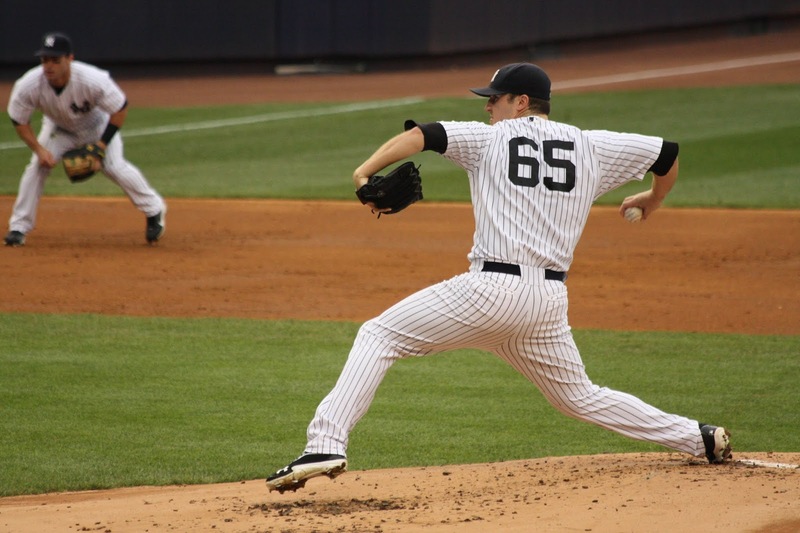 The Mariners strengthened their bullpen with the addition of Adam Warren, a guy the Yankees certainly could have used the last couple of games. 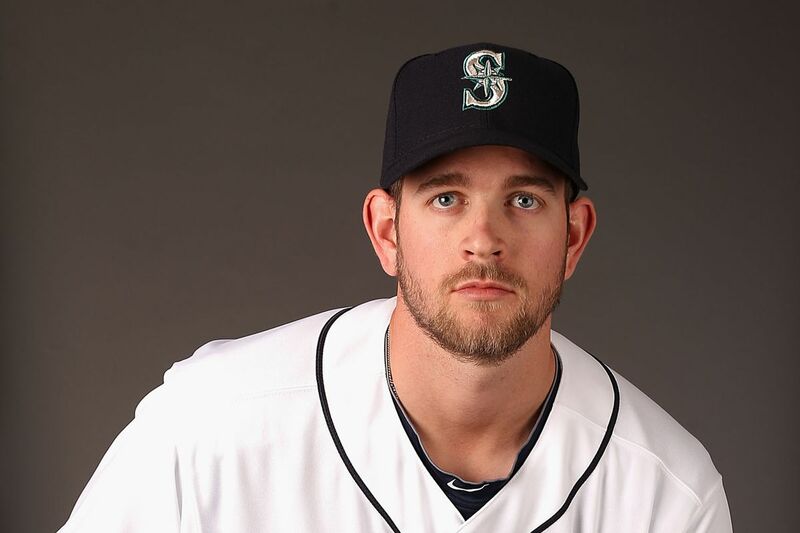 Warren was the winning pitcher in the M’s 4-3 victory over the Houston Astros last night. 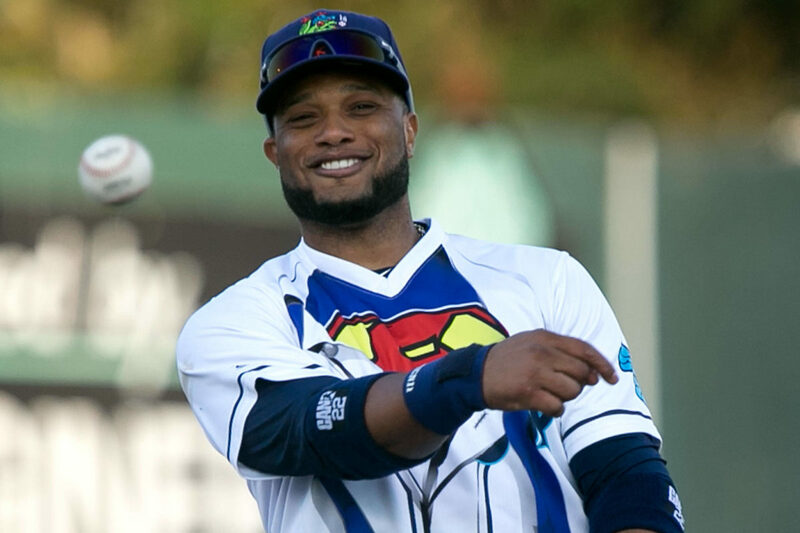 The Mariners also benefit from the return of Robinson Cano in a few days. Cano may not be eligible for the post-season but he’ll certainly help the Mariners make the push for October. He’s a valuable late season addition for Seattle. We’ll see if there is rust to shake off but I suspect that Cano will be ready to go. Please do not get me wrong. I like the 2018 New York Yankees. No one expected a historic season from the Boston Red Sox. 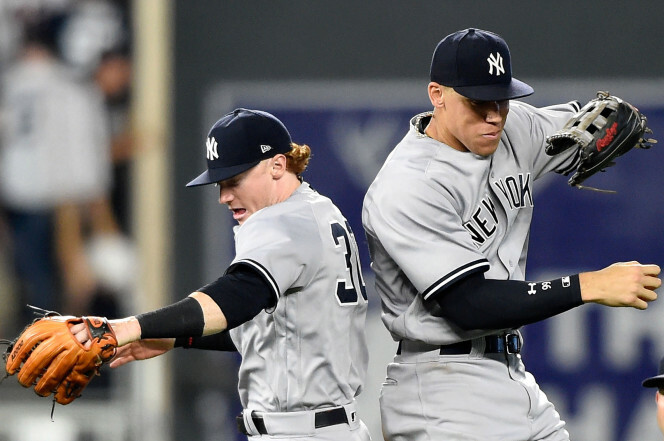 The Yankees, despite their struggles, have won more games in Major League Baseball than any team other than the Red Sox and the Houston Astros. It is very possible they’ll go into a potential Wild Card game with over 100 wins. My only concern is that GM Brian Cashman could have done a better job (if that is possible). Everyone is so quick to give him credit for his genius but standing back, he’s had his share of misses. I like manager Aaron Boone but there’s no question we’ve paid a price for his inexperience. I am anxious for the returns of Gary Sanchez and Aaron Judge, but the Yankees need to take care of business now. August is filled with losing teams on the schedule. The Yankees have the potential to have a very successful month despite starting it with a four-game sweep by the Red Sox but they can’t let 52 win teams like the Rangers crush them. Rookie Ronald Guzman looks like the greatest player who ever lived when he feasts on Yankees pitching, having accumulated six home runs already this season. Half of his season total are against the Pinstripers. He was the first rookie to hit three home runs in a game last night against the Yankees. 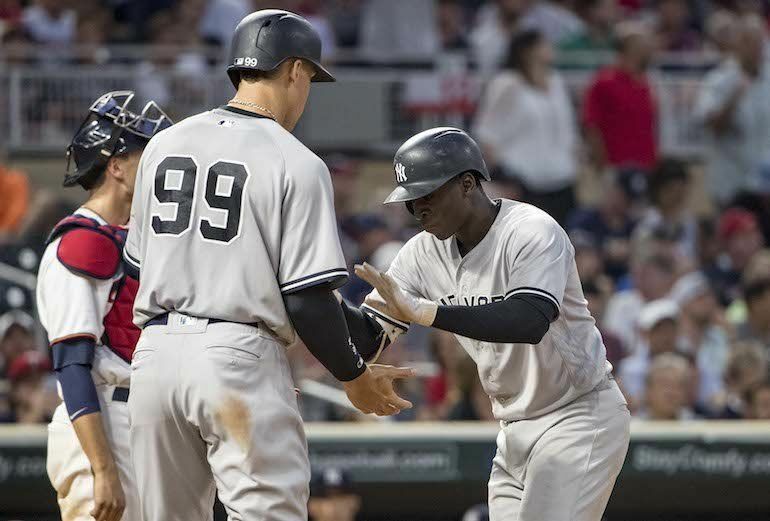 That’s covering many years and players and is the strongest rookie performance against the Yankees since the A’s Reggie Jackson slugged six homers against his future team in 1968. This cannot happen if the Yankees expect to be successful. Ronald Guzman is no Reggie Jackson and the rest of the American League knows it. Apparently, the Yankees pitching staff didn’t get the memo. To digress slightly, why is A.J. Cole on the MLB roster and Justus Sheffield is not? Time to add Top Sheff to the 40-man and open a spot on the active roster by punting Cole. It sounds like we can add Neil Walker to the list of wounded. After last night’s game, Aaron Boone said that Walker tweaked his neck and was dealing with illness. I had wondered why he wasn’t in the lineup or why he wasn’t used to pinch hit but that explains it. As Joe Girardi would say, it’s not what you want. Fortunately, Walker is penciled into today’s lineup (outfield, no less) so hopefully his physical ailments were minor. I could care less if Jacoby Ellsbury is going to miss the remainder of the season after undergoing surgery for a torn hip labrum. I had not counted on the player and did not want to see his return potentially cost another player a valuable roster spot. As much as I would love for the Yankees to cut bait, the truth is they won’t as long as they can collect insurance on his salary. I get it. I am just ready for the day when the Yankees can finally give him his walking papers. I was very glad to hear that YES Network analyst Ken Singleton will return for another season after he had announced that 2018 would be his last. There is something so calming and reassuring about Singleton’s voice and his stories are so great to listen to. I’ve long been amazed that a former Yankees enemy (courtesy of his days in Baltimore) could excel calling Yankee games with no bitterness or regret. He has exuded class and professionalism from the start and I’m glad he’ll be back in 2019 even if he will be carrying a much lighter load. In a season that has seen Michael Kay’s stock drop and Ryan Ruocco’s elevate, Singleton was been a voice of consistency. 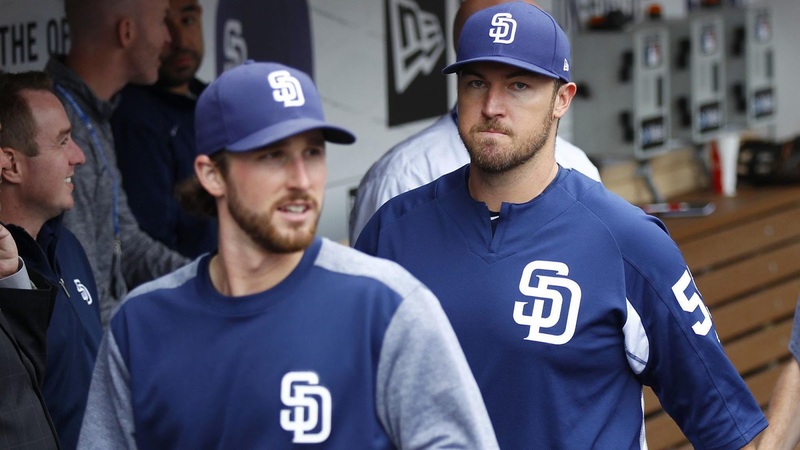 I was sorry to see Phil Hughes designated for assignment yesterday by the San Diego Padres. I had hoped the former Yankee would fare better in his native sunny Southern California but it was not meant to be. I’ve always liked the guy and I am hopeful that he can find a good home to make a difference even if it is in relief. I don’t really see a fit with the Yankees, but there are plenty of teams in need of help. I am not ready to see the end of Hughes career so hopefully this is just the next chapter in his book. 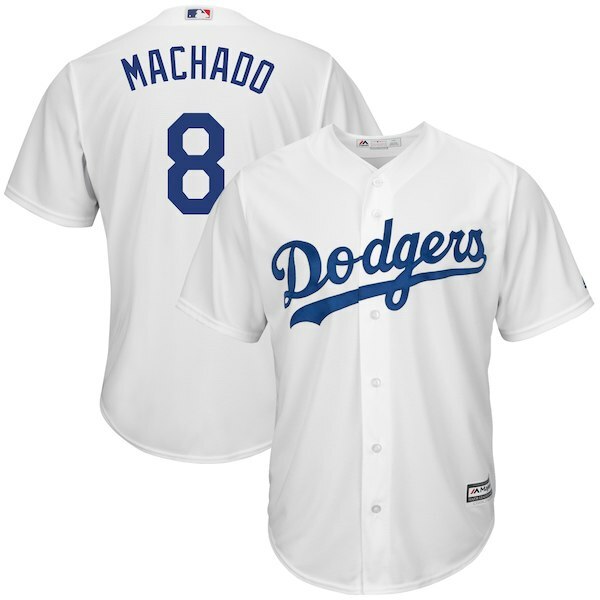 I’ll be headed to see Manny Machado and the Los Angeles Dodgers take on the Colorado Rockies on Sunday at Coors Field in Denver. It should be a fun game. Former Yankee Rich Hill will get the start for the Dodgers. I was in LA last weekend and didn’t get the chance to see the Dodgers play the Houston Astros at Dodger Stadium so this is a good consolation prize. Manny remains a guy that I’d love to see the Yankees pursue in the off-season (dump Greg Bird and move Miguel Andujar to first to open third for Machado) and I’ll certainly be cheering for him on Sunday. Well, time for my voice of pessimism to close. 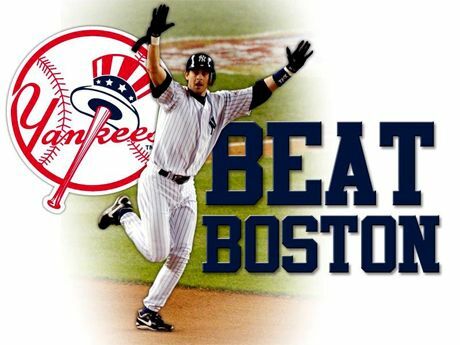 Time for a new Yankees winning streak to start. Can we get another quality start from Lance Lynn? We’ll find out in a few hours. In Rangers starter Drew Hutchison’s last game, he gave up six runs in three innings to the Baltimore Orioles. We can do better. They also signed the #25 player in catcher Miguel Flames, Venezuela. At first pass, it seems like a number of shortstops but I’ve read that Dermis Garcia will eventually be a corner infielder and Wilkerman Garcia may be switched to second base. Dermis Garcia, the prized signing, represents the most the Yankees have spent on the international market since they signed top catching prospect Gary Sanchez in 2009. Garcia received $3.2 million, while Sanchez received $3.0 million. It’s interesting that Garcia was born in 1998, perhaps the greatest year of the modern Yankees era. I can still remember when the Yankees selected an 18-year-old Derek Jeter out of Kalamazoo, Michigan. Hopefully, the 16 year-old Garcia will be a presence in pinstripes for more than 20 years too. Of course, while the Yankees were focused on position players, the Boston Red Sox quietly signed the top two pitchers in Christopher Acosta, Dominican Republic, and Anderson Espinoza, Venezuela. I thought it was a telling choice in the selection of the catcher (Flames). The Yankees seems overloaded with catching prospects and the Flames arrival is probably the prelude to the inclusion of another catching prospect such as Sanchez or John Ryan Murphy in a potential trade this month. I would not want to lose Sanchez for a middle-of-the-road starting pitcher but if the return were say someone like David Price, then I am all in. With the international signings at approximately $14 million, the cost could be as much as $30 million with penalties plus the Yankees will be non-players in the next two signing periods as they’ll be restricted to no more than $300,000 per player. But with their aggressive approach this year, the Yankees have infused significant future talent into the lower levels of the farm system. I saw a reference that Park would be the first Korean-born Yankee but that’s unfair to AAA second baseman Rob Refsnyder. Although raised in CA since he was 3 months, he was born in Seoul, South Korea to Korean parents. So I’d say Refsnyder will be the first Korean Yankee. 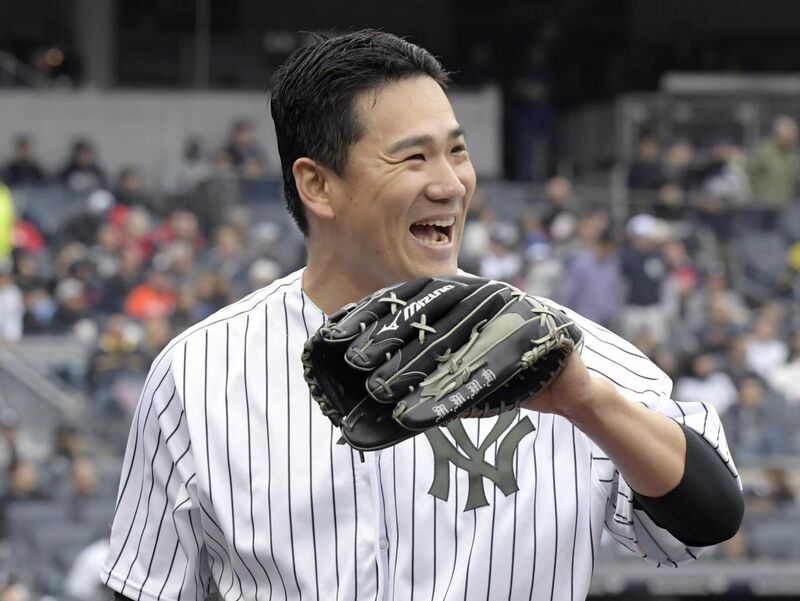 Speaking of Refsnyder, I seriously hope that his Bronx arrival is sooner rather than later. The Yankees need to upgrade second base. Brian Roberts was once a great player but he’ll never be that guy again. Why not go with a younger player who has upside potential? The sooner we can put Robinson Cano in the rear view mirror, the better. So much for the rags to riches story for career minor leaguer Yangervis Solarte. After a terrific start to the season, he has been non-existent for the past month and it earned him a free ride to Scranton/Wilkes-Barre. His replacement is actually an older career minor leaguer, Zelous Wheeler, so we’ll see how this goes. If it were me, I would have brought up Refsnyder. But there’s a reason that Brian Cashman is GM and I am not, so I’ll just have to have faith in the decision. Honestly, I am not sure there is anything the Yankees can do to save this season. They are a game under .500 entering play tonight and have played with virtually no offense. They only win if they can hold the opponent to a couple of runs or less. Robinson Cano is one player that could ignite the offense but obviously there’s no way the Seattle Mariners are going to give him up. In retrospect, the Yankees should have overpaid to keep Cano. Alfonso Soriano was that kind of player at times last year but he’s been in a season long slump that almost certainly means this is his final year in pinstripes. I thought that Brian McCann would be hitting by now but he is showing that he’s one of those guys who needs a long acclimation process to the Bronx. Carlos Beltran is merely showing that he is a 36-year-old outfielder. The other off-season right field option, Shin Choo-Soo, has fared no better in Texas. 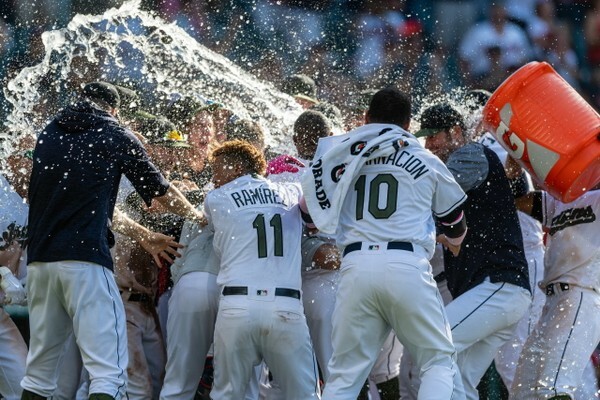 At this moment, the Detroit Tigers stand as the team to beat in the American League. For the past couple of weeks, they’ve been invincible and easily handled the second best Oakland A’s this week. Joba Chamberlain is probably loving life at the top. While I recognize the Yankees will make a move this month, I hope that they do not trade any top prospects unless the return is top shelf (i.e., David Price). I’d hate to lose Gary Sanchez and still finish 3rd or 4th in the AL East. 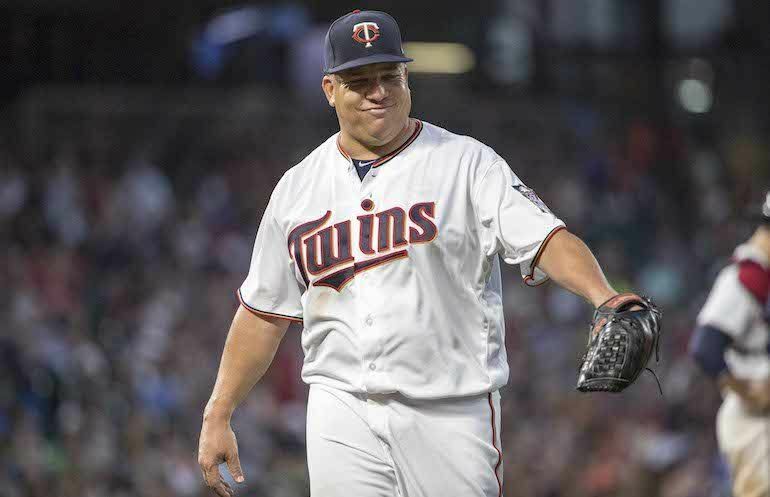 Oh well, tonight the Yankees play Phil Hughes in Minneapolis. Let’s hope the results are better than the last time they saw Hughes in the Bronx when he and the Minnesota Twins dominated the Yanks.